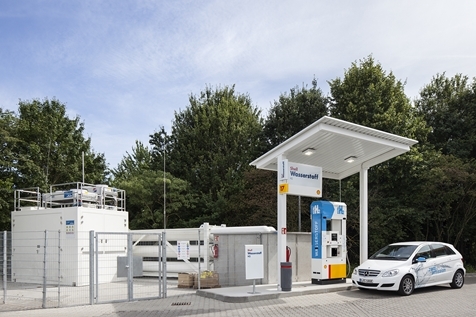 EHA » Of the SHELLves…..
On June 14 2016 the joint venture H2 Mobility Deutschland and its partners Air Liquide, Daimler, Linde and Shell officially opened two new hydrogen refuelling stations in Frankfurt, built by Air Liquide, and Wiesbaden, which is a Linde station operated by Daimler. Both stations are on SHELL premises and can serve up to 40 cars a day. The German federal state of Hesse now has a total of five H2 filling stations for emission-free fuel cell vehicles. The new sites are both conveniently located directly on the A661 and A66 motorways at key points of intersection for people driving from north to south through Germany. Stations are now totalling 30 in Germany with 27 in the planning.